A Villa Park man has been charged with two felony counts of first-degree murder in connection with a double shooting outside of Sound-Bar, the long-running nightclub at 226 West Ontario in River North. Police today said 37-year-old Armond Williams was part of a group that was denied entry to the club shortly after midnight on March 8th. A fist fight broke out between the group and the club’s doorman, Thurman Bailey, when Williams pulled out a handgun and started shooting. Bailey, 28, was pronounced dead about an hour later. Another man, identified by hospitality industry sources as Sound-Bar co-owner Mark Jurcyzk, 58, was injured by bullet fragments in his arm and leg. Williams was identified through surveillance video footage of the incident. He is due in bond court today. Chicago Police Supt. 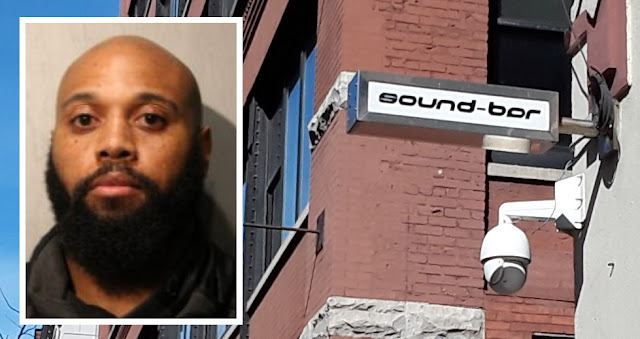 Eddie Johnson issued a summary closure order of Sound-Bar on March 12th. Since then, club owners have been working with city officials to develop a “Nuisance Abatement Plan” that would allow them to re-open the bar. An initial hearing on the closure was held March 20th. A staff member for local Ald. Brendan O'Reilly (42) said in an email to constituents this week that negotiations were underway to create an operating plan and avoid a "contested hearing."